Corkor®﻿ is an eco-friendly company with environment in mind. As Portugal has the largest cork oak landscape in world, we have decided to offer our customers natural, sustainable and eco-friendly﻿ products made of cork. Corkor® collections are from Portuguese cork oak trees and locally handcrafted. 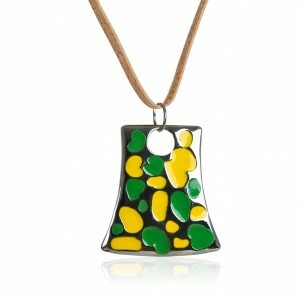 Green and Yellow Pendant Cork Necklace is made of zamak and has a cork necklace! Have you ever seen a necklace so fun! Great pieces of jewelry from Corkor but that isn't all they carry. iPhone 4 case made out of cork! How sweet and eco friendly is this! Beautifully made. This beautiful pouch has a unique pattern due to its veggie material; it is made of natural cork, which is one of the greenest products, as it is recyclable, sustainable and animal's cruelty free. This pouch was designed to perfect fit iPhone 4 or 4S with 123mm (4.8 in) x 74mm (2.9 in), features a handmade slim design, ideal for pocket. There is an opening at bottom for battery charge and easily device removal. Lining is made of a very soft fabric to protect from scratches. Beautiful stitches to give it some character. It has a great natural looking and a premium quality. Cork is also very easy to maintain as new, just need to wipe with a damp cloth with a PH neutral detergent and the dry it with a soft and clean cloth. Cork protects against heat and doesn't fade. 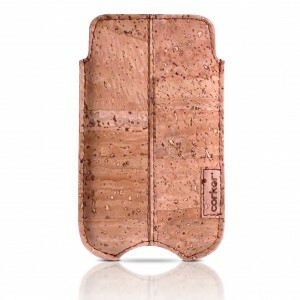 Cork is very lightweight and durable. The naturalness of it is very eye pleasing! This is a high quality phone case that will bring inquisitive looks when you use it! Want to win an IPhone case?? Corkor is offering an IPhone case like this during the Back to School Scramble beginning Aug 1st! $35 value. Looks awesome! I need a new iphone cover - definitely checking out the giveaway! These products look awesome! Love that they're green products. Never knew cork was made from veggies. It is so cool looking! I would love to try this green case! Great article- thanks for the info!! If you haven’t checked out Body Glove’s iPhone cases yet, you’ve got to! !